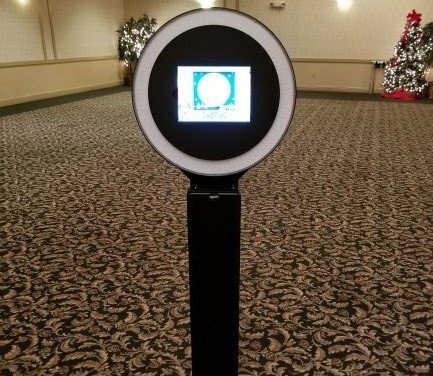 This Photo booth does it all from taking the pictures with digital props and custom logos built in we can promote your event from the screen. Once you take your photo and choose your filter you can send it directly to your phone or email with one click of a button. The system is very user friendly. Just touch the screen to start and your off take the photo send it to your phone in minutes you can post it on your favorite social media site. If you want to print out the photos we can ad a printer to your event for an additional cost.